Hartley is a big-hearted, strong, tall man with genuine kindness born into him. Rebecca is by far the most decisive, wittiest woman I´ve ever met whose jokes will choke you with laughter. Carlos (who I dog-sit when Becky and Hartley are at work) is the cutest pug under the sun who happens to love me so much that – even if castrated – if I drop my dirty underwear to the floor he gets to it immediately and starts licking it! Becky and Hartley believe that my English is good enough to understand whichever linguistic peculiarities and thus do not change their talk (unlike most of the other Australians I got connected with so far) for me in any way to make it simpler; as a result of that I get to hear a lot of the typical Australian shortenings such as Woolies (Woolworths), headies (headphones), Sunny Coast (Sunshine Coast), sus (suspicious) and – most notably – delish (delicious). They also use a lot of the typical aussi (Australian) expressions such as arvo (afternoon), that´s sick (great), G’day (Good Day/Hello), garbo (garbage collector) and thongs (flip flops, not G strings). My new family also introduced me to some of the crazy foodstuffs such as “sausage sizzle” (a sausage served in roll – white and bittered – and hot chips, sometimes with tomato or brown sauce). Quite a shock after my almost four-month mostly vegan and vegetarian diet. I learned what a stubby holder is (an insulated sleeve to keep a beer cold) as well as Bundaberg rum. 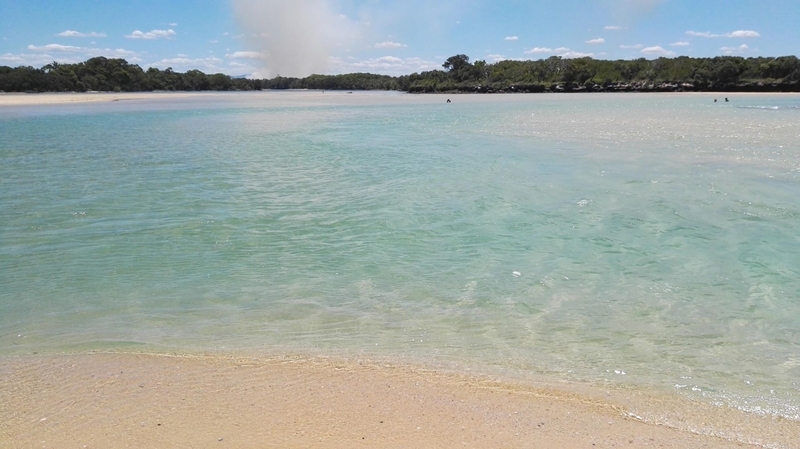 I also got to know that Backstreet Boys are back together (yep, a big TV here that I have not watched for quite a few years now) and experienced the bushfires (I often don’t know still if it is rain coming or clouds of smoke). As I have happened to arrive right for the Advent time, I could enjoy decorating the house with all the Christmas trifles. The trees here are artificial mostly (blame it on the high temperatures) and there are no fireplaces here, neither tree branches with lights that would be decorating them and giving the houses the special smell of Christmas. The decorations here would include a lot of inflatable Santas and snowmen and rooftop lights. Nobody here bakes Christmas cookies, but surely, they have the crackers and the pudding. They do not celebrate St Nicholas night, so no sweets hidden behind the windows this year, no coal, potatoes, or – since I´m always so nice – sweets… They do have Christmas markets though where my favourite bit is the “Lucky Dip” (there might be a bit of a gambler in me after all) – you pay a dollar or so to pick a prize out of a container with many different prizes in it, without being able to see what you are picking. Life here is driven by the rhythm of the sun which comes out around 4:45 am and sets around 6:30 pm. I myself got caught up by that rhythm and shifted from an owl to an early bird (which in my case means waking up spontaneously around 6:30 am and going to bed around 9:30 pm). Becky´s and Hartley´s friends are cool people who love to chillout and party on Saturdays. If I thought that everything in Australia swirls around healthy diet and active lifestyle, I could not have been more wrong. 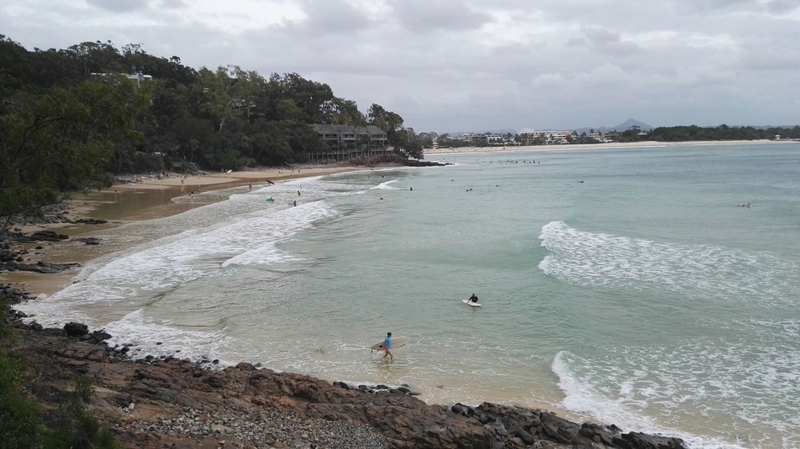 Just like everywhere else, you find people who would spend their weekends surfing and hiking and jet skiing and cycling and then those who prefer to suntan on the beach or relax in the garden, drink a glass in the garden spa and enjoy evening fun with friends. Gyms are big here though and I even got a chance to try out several new exercises such as the Zuu (bodyweight training encompassing features of gymnastics and yoga). 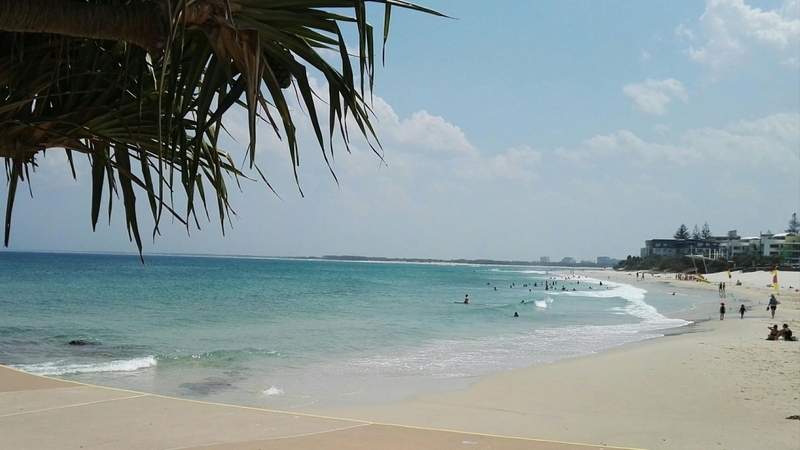 Sunshine Coast is the third most populated area in Queensland. 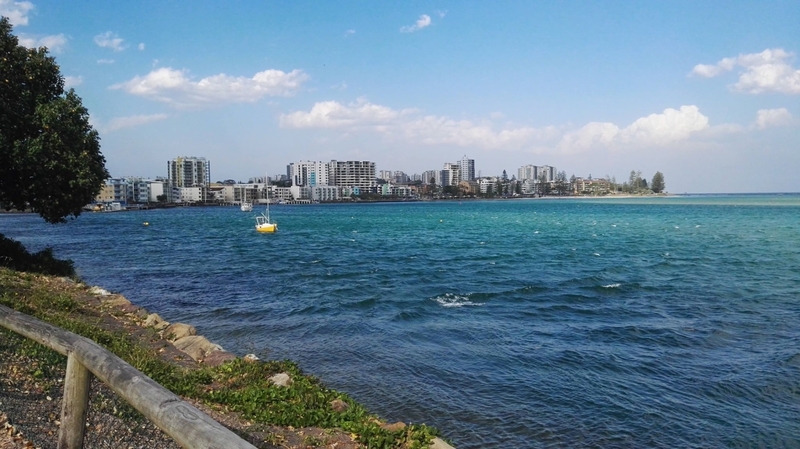 Located 100 km north of Brisbane, its urban area spans approximately 60 km of coastline and hinterland from Pelican Waters to Tewantin. 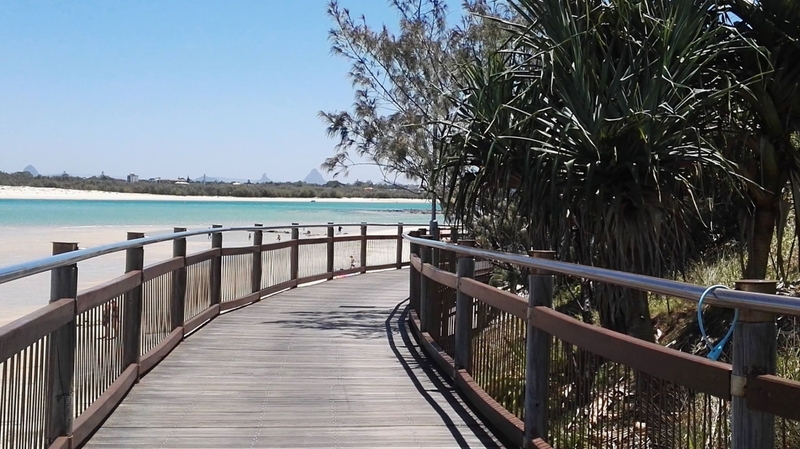 Tourism here is quite an important industry, especially in the coastal hubs such as Caloundra, Kawana Waters, Maroochydore and Noosa Heads. 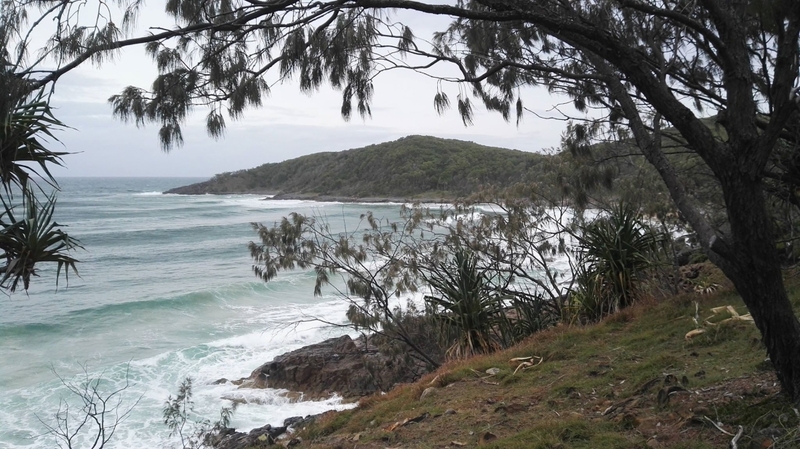 My favourite beaches would include Noosa Beach, but rather than the Main Beach it would be those tiny beaches running along the National Park trail, Coolum Beach in Maroochydore (by the way, they have great seafood dishes in the town´s Surfers´ Club), Moffat, Currimundi, Shelly and Dicky Beach (with the cute Clancy’s Beachside Takeaway that reminds you the 60´s American roadside bistros) in Caloundra as well as the long stretch of Caloundra´s Golden Beach where you can always find some abandoned spots for natural bathing. 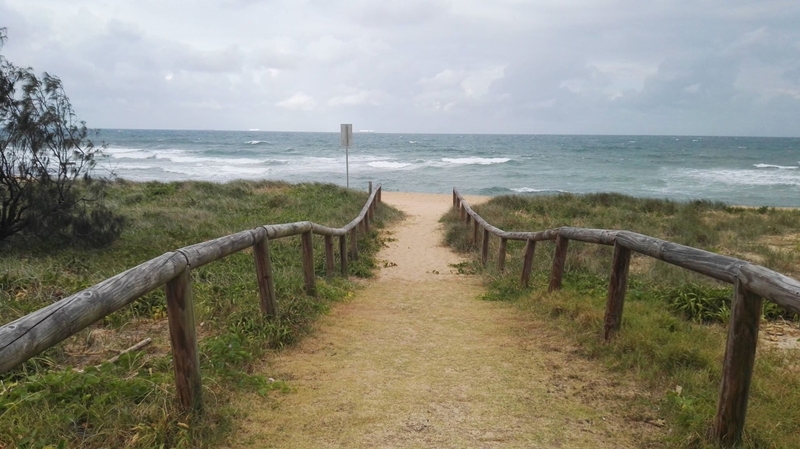 Most residents here would enjoy beach life (with a lot of surfing, free diving and scuba diving) – though the area is known to be a home to various kinds of sharks, so basically any time you step into the water you “walk onto the sharks´ plate” and funny enough, surfers here call themselves “shark biscuits”, picnicking and – rather than jogging – walking along the beach promenades. 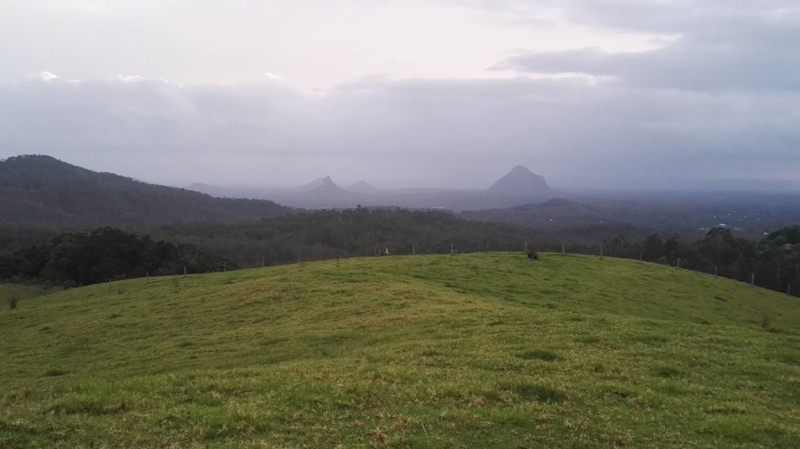 Hang-gliding, cycling and hiking is quite big here too thanks to the hinterlands that include the stunning Glasshouse Mountain National Park (with some spectacular views), Kondalilla National Park (with amazing waterfalls), Noosa National Park (with the main trail running along beaches), and the Great Sandy National Park which includes sections of Fraser Island. Even though the area is inhabited by some interesting fauna, including koalas and kangaroos, they are sometimes hard to spot in the wilderness. That is why most tourists as well as locals opt for going to the Australia Zoo which takes pride in “a team of passionate conservationists working around-the-clock to deliver an animal experience like no other“. The zoo offers “a walk on the wild side with tigers, cuddling a koala or hand-feeding a rascally red panda”. For those who prefer sanctuaries for their chamber-like atmosphere, I would recommend a visit to the Lone Pine Koala Sanctuary located just about 12 km away from Brisbane. 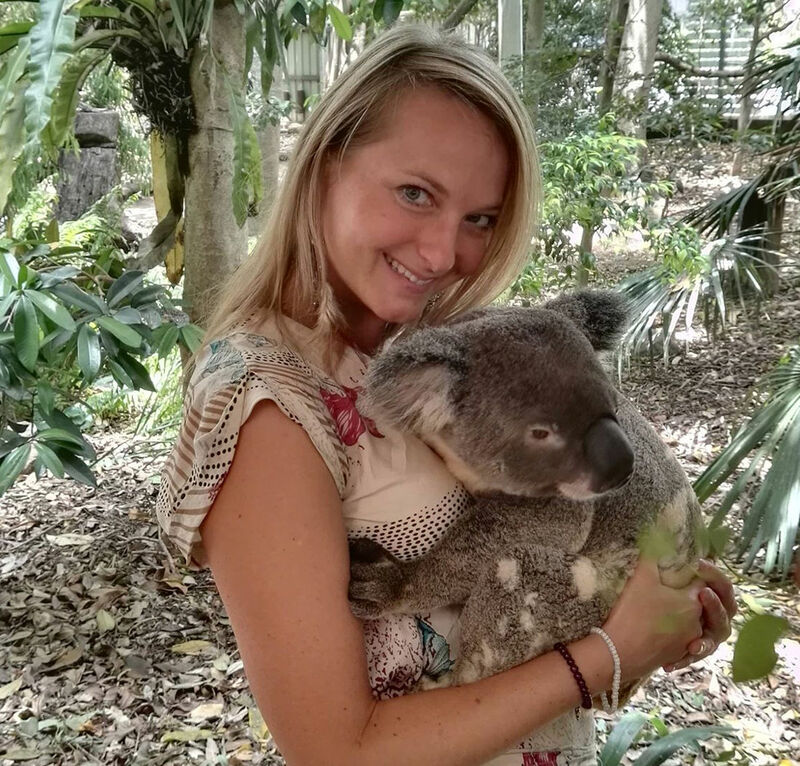 Founded as early as 1927 as a safe refuge for sick, injured, and orphaned koalas, it remains a frequently visited destination for local and international guests not only to see native Australian animals, but also to connect and learn via many diverse presentations and educative talks. In the sanctuary, you can also cuddle a koala, you can walk among, cuddle and hand-feed kangaroos while they are running gaily, freely in their designated territory, you can watch a show with trained farm dogs that can herd sheep, or enjoy another show with wild birds flying just a few centimetres above your head. If that is not enough, you can observe vets treating various animals in the “operating room” and animal food being prepared in the kitchen as there are huge transparent window panels on both the rooms. 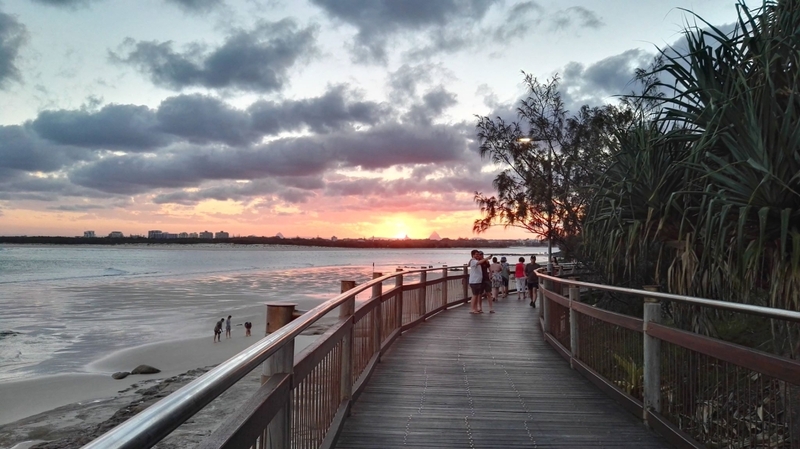 Caloundra itself, where I get to spend most of my time, offers “stunning coastal paths and well-maintained boardwalks that allow daily life to unfold in a haze of fabulous breakfast, sandy beaches, scooter-happy trails and grassy picnic spots.“ I love cycling along the coastal trails, buying trifles in the many OP shops downtown, but above all, the marvellous sunsets here “behind” the views of the Glass House Mountains that make me feel humble and appreciative of the present moment.